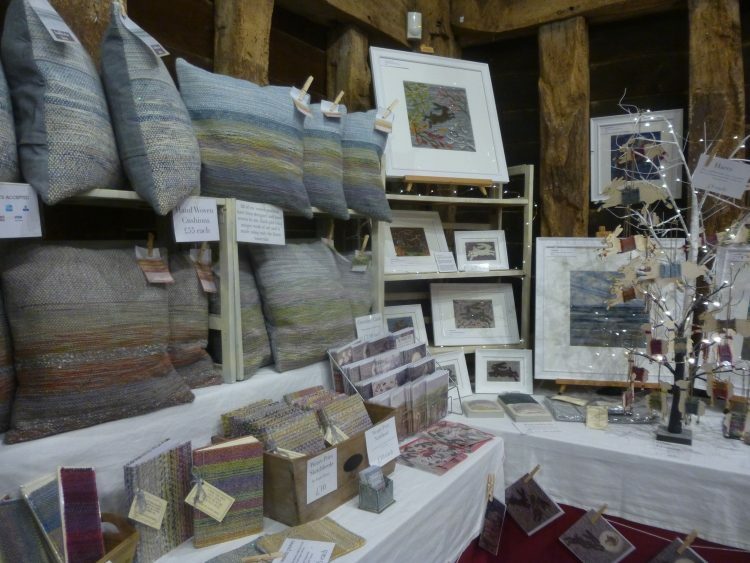 Katie Green, who showed at Lexden Arts Festival with us several years ago, was showing a greatly expanded range of her beautiful, subtle-coloured weaving. And it was lovely to catch up with Penny Bhadresa again, hear about her new studio and see her new work. I was delighted that Penny has agreed to show at the Sentinel Gallery with us next October. 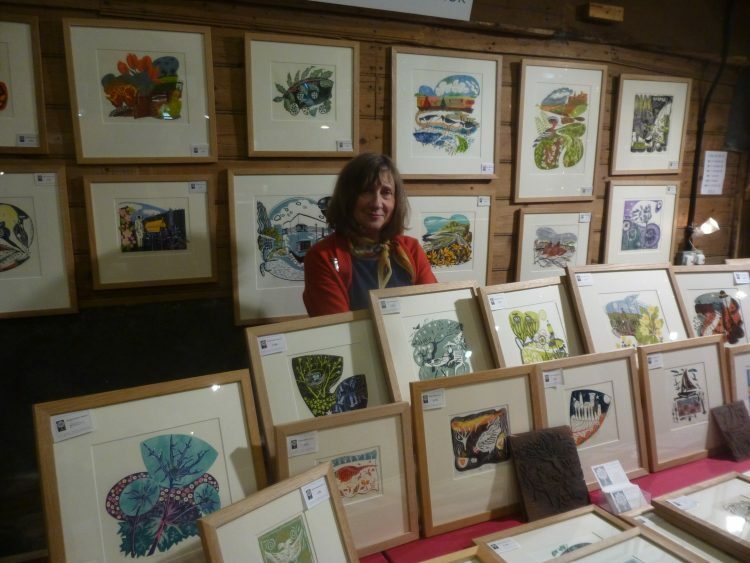 She showed at Lexden Arts Festival two years running, and each time was one of the most popular artists. Dennis and Katie will both be there again next weekend, and Penny is coming back for 15th/16th December. If you are anywhere near Bury St Edmunds do go! They also have a café, a lovely Christmas decorations shop, they will be selling Christmas trees, parking is free and – (I think this is so important) – they have really nice loos! Clean, really hot water, really nice hand wash and hand lotion, and state of the art hand dryers. So often places are let down be really gross toilets. It’s such a nice surprise to find a venue which bucks the trend. In my studio: I’ve been making good progress with Henny Street: Autumn. 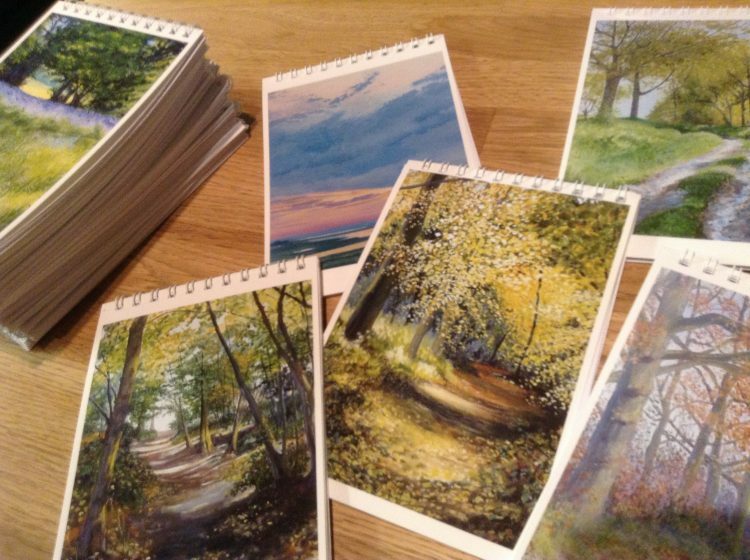 I’m also preparing for my Artstuff stall next Saturday at St Leonard’s church Christmas Bazaar. 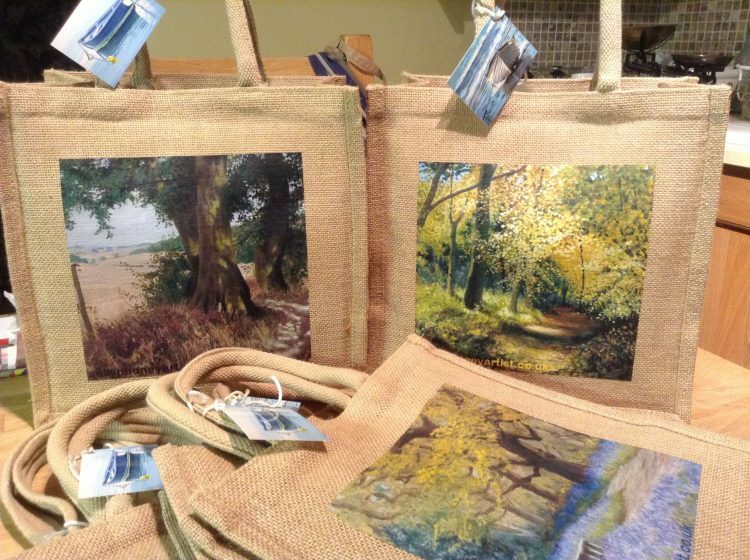 (Lexden CO3 4BL) I sold out of my Jute Bags at Open Studios so I ordered another batch. I’ve also been making more Useful Little Notebooks, as they were also very popular at Open Studios. There is lots else going on in Colchester on that day. 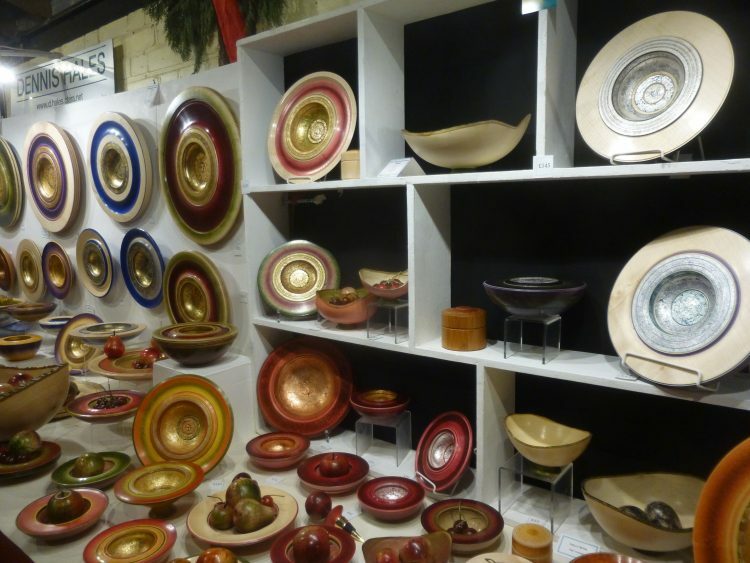 The Minories, the Arts Centre and Trinity Street all have Christmas craft sales of one sort or another, and at Lexden the Bazaar is open from 11 – 2.30. Parking is in the surrounding streets, and is free, and refreshments and lunches are available. So if you’re in the area why not make a day of it?